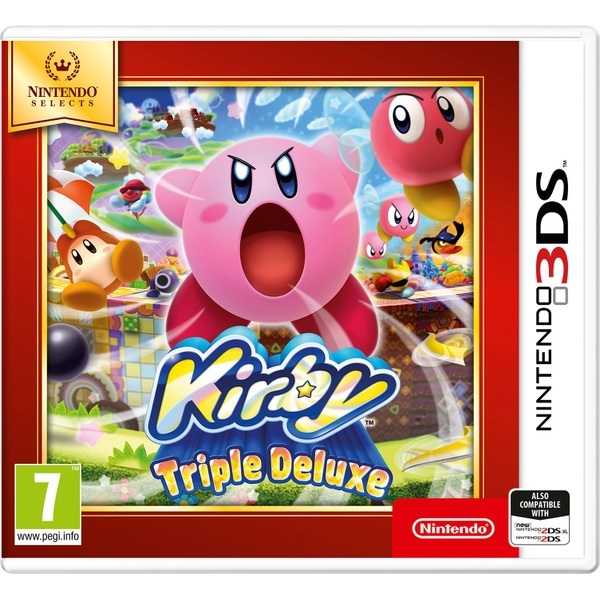 A side-scrolling installment in the beloved Kirby series, Kirby: Triple Deluxe uses the 3D features of the Nintendo 3DS to allow Kirby to move not only from left to right, but also from the foreground to the background. Kirby also gets an “inhale everything” ability that can be used in specific parts of each stage to help him clear anything blocking his path. As always, Kirby has the power to inhale his enemies and take on their abilities. Each copy ability can let him do a variety of actions and moves, depending on which buttons are pressed.